Premium 20mm Lanyard. 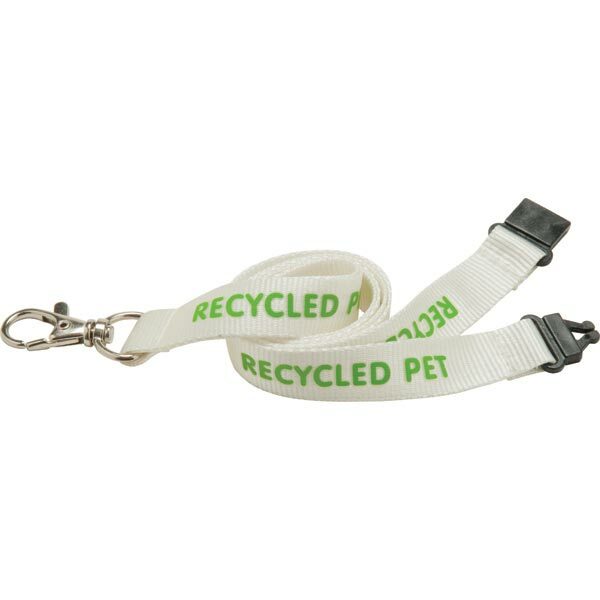 Made from our smooth polyester material this lanyard is printed up to 4 colour process direct to the material for a superior finish. 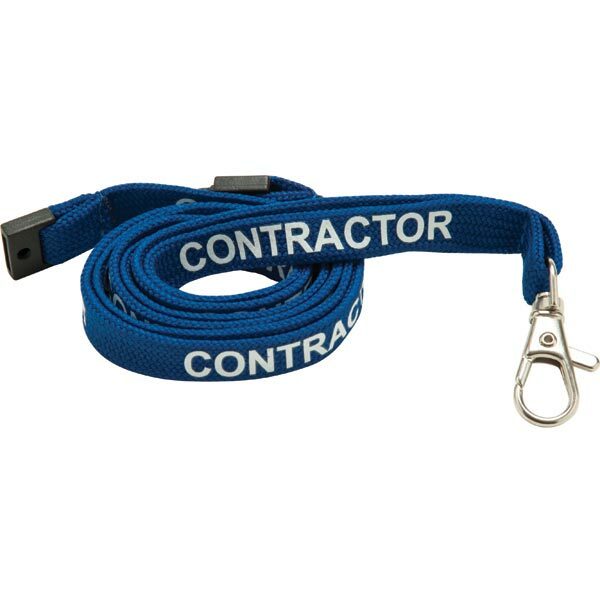 Pre-printed 10mm Tubular Polyester Lanyards with option of 4 standard print designs: STAFF on Black lanyard VISITOR on Red lanyard EXHIBITOR on Grey lanyard and CONTRACTOR on Blue lanyard. Supplied with trigger clip and safety break as standard. Printed in White on 2 sides. 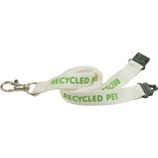 15mm bamboo lanyard or plant silk or recycled PET lanyard. 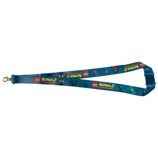 Supplied with a black plastic safety break and LAN04 metal trigger clip as standard. Printed 1 colour in 1 position. Price based on Natural Ecru material colour only. 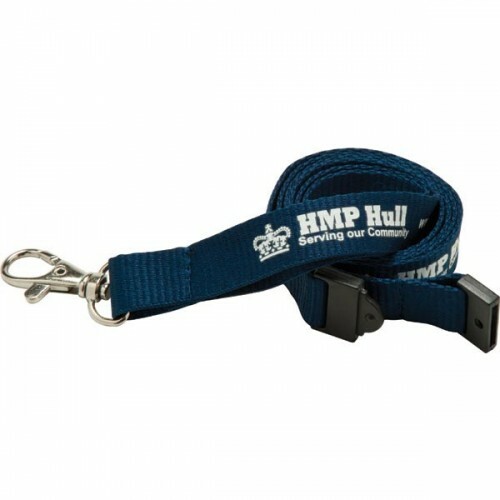 15mm flat polyester lanyard.Supplied with a black plastic safety break and LAN04 metal trigger clip as standard.Printed 1 colour on 1 side. 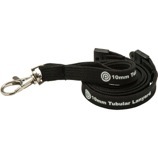 10mm tubular polyester lanyard. 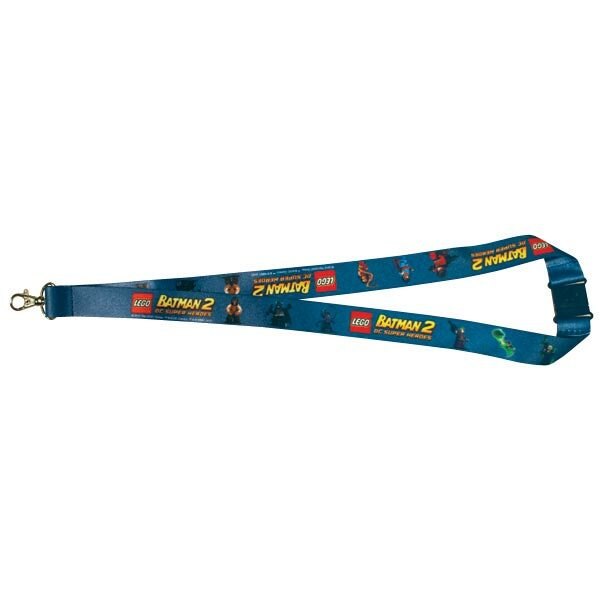 Supplied with a black plastic safety break and LAN04 metal trigger clip as standard. Printed 1 colour on 1 side. 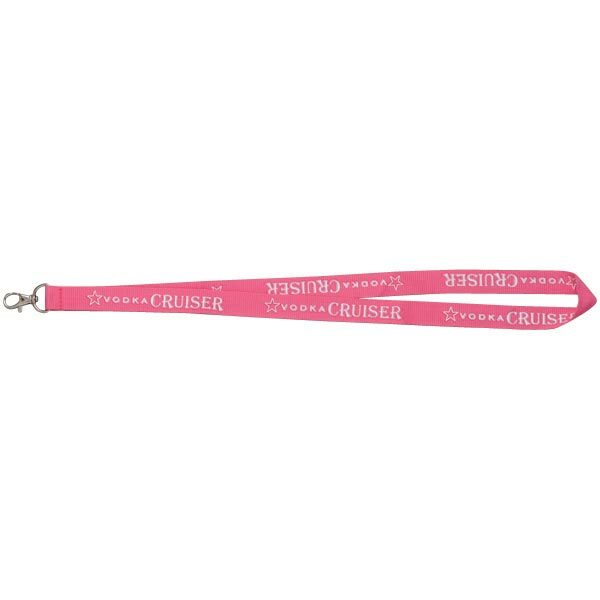 20mm flat lanyard. Printed 1 colour 1 side. Supplied with a wide metal alloy hook.